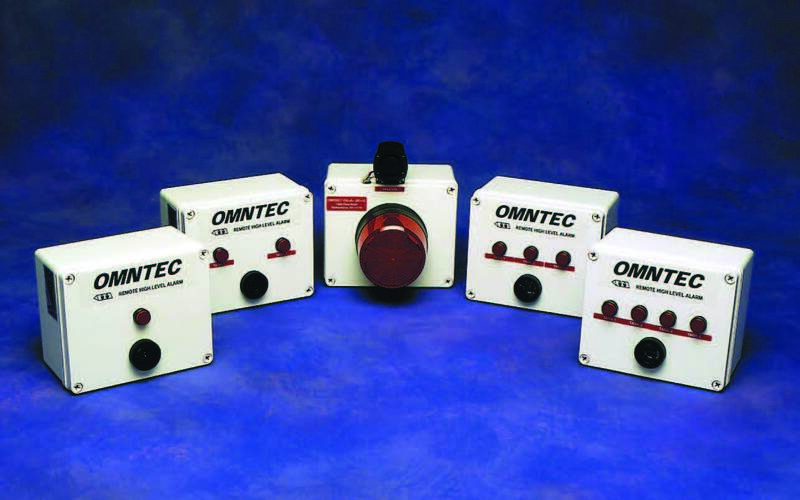 OMNTEC remote annunciators are easy to install, reliable and cost-effective. The RA series remote annunciators add audible and visible high-level alarms to OMNTEC’s LPD, LU and LU-OW controllers. The primary application of OMNTEC remote annunciators is as a cautionary audio-visual alarm to signal a filling operator that a tank is approaching an overfill condition. A major benefit of OMNTEC’s remote annunciators is that they need no external power source. This feature ensures cost-effective and timesaving installation. RA-Series visual annunciators are LED indicators rated MTBF 11 years. The annunciators’ audible alarm is a low-voltage, 95-decibel piezoelectric alarm. The RA-NYS offers a remote annunciator option for conditions when distance or background noise requires a high-intensity, high-decibel remote annunciator. The visual indicator of the RA-NYS is a flashing strobe beacon. The audible alarm is a 110-decibel piezoelectric horn. The RA-Series has a NEMA 4X rating, which indicates a weatherproof, corrosion-resistant product. Ruggedly constructed, these remote annunciators provide reliable and cost-effective performance.